6 Local Government Lobbying Forthcoming chapter in City Ethics' free e-book "Local Government Ethics Programs." Robert F. Wechsler City Ethics, Inc.
What to make of the fierce new debate over the efficacy of California's energy codes? Arik Levinson is an environmental economist at Georgetown who spent some time as a senior economist for environmental issues with the Council of Economic Advisors (C.E.A.) under President Obama. So Levinson wanted to know: how efficient is all this energy efficiency? That’s the topic of our latest podcast. . . .
We discuss Levinson’s new working paper “How Much Energy Do Building Energy Codes Really Save? Evidence From California” (and a related Journal of Economic Behavior & Organization paper, called “California Energy Efficiency: Lessons for the Rest of the World, or Not?). Since the 1970s California’s residential electricity consumption per capita has stopped increasing while other states’ electricity use continued to grow steadily. What accounts for California’s apparent savings? Some credit the strict energy efficiency standards for buildings and appliances enacted by California in the mid-1970s. They argue that the growing gap between California and other states demonstrates that other states and countries could replicate California’s gains by adopting California-style regulations, and that California should build on its own success by tightening its standards further. Skeptics might point to three long-run trends that differentiate California’s electricity demand from other states: (1) shifting of the U.S. population toward warmer climates of the South and West; (2) relatively small income elasticity of energy demand in California’s temperate climate; and (3) evolving differences between the demographics of households in California and other states. Today, differences in climate and demographics account for almost 90 percent of the difference between California’s and other states’ residential electricity use. That difference thus provides no lessons for other states or countries considering adopting or tightening their own energy efficiency standards. What is to be made of this? What are its implications of this for those of us interested in the legal aspects of energy efficiency? I have found responses to Levinson's study by several groups, including NRDC, Energy Innovation, and ACEEE. In a broad Westlaw search of all legal secondary sources, however, I turned up no hits, which makes me believe that either the legal academy has yet to address the debate or, alternatively, the slow pace of legal publishing means that responses are still in the publication process. Does anyone out there have a link to other good responses to the Levinson paper? Are there any good analyses of the legal issues this might implicate if Levinson is right and, alas, if he is wrong? I have had reason this spring to revisit--more often than I'd like--the relative rankings of law reviews. It seems these days that many people rely upon the Washington & Lee Law Review Rankings as an indicator of what constitutes a "good" journal placement. In reviewing the W&L Top 100 journals, however, I have noticed that the presence of secondary journals in that top ranking seems to inure to benefit of those writing in tech law, international law, business law, and law and policy, as those are the subject areas of the secondary journals that proliferate in the W&L Top 100. By my count, in the 2013 W&L 100--the latest data available--31 law reviews (those with an asterisk in the first column below) are aimed at topics unlikely to accept land use law-related articles. That means that, for land use law scholars, the W&L Top 100 is really the W&L Top 69 (those journals without an asterisk). I also did the same analysis on the 2003 W&L Top 100; at that time, 24 journals were non-land use law journals (see below). This seems to indicate that the prevalence of secondary journals in the Top 100 has been common for some time; I have not, however, crunched the data on all ten years of rankings available at the W&L site. Of course, there are plenty of places where land use law scholars can place their articles and, in the era of digital reproduction, placement seems to matter less and less. I am curious, though, what others make of this, if anything. Just as this affects land use law scholars, it would seemingly affect other scholars, such as criminal law scholars, that would not have the opportunity to place in many of the W&L Top 100 law reviews. Following the 2014 Future of Places conference in Buenos Aires, we are pleased to announce the next conference in the series. The 2015 Future of Places conference will serve as a lead-in to Habitat III and its theme “Toward a New Urban Agenda.” Conference-goers will have an opportunity to shape that agenda by helping to define the critical issues for action,particularly around the agenda of public space, place and placemaking. The Future of Places conference recognises the central importance of public spaces, not only as amenities, but as dynamic environments that are shaped by the people themselves – not abstract space but human places, shaped actively by “placemaking.” These public places, along with their adjacent private and semi-private places, form a critical connective network within the city — profoundly influencing, and potentially limiting, social, economic and personal development. In line with the public space agenda for Habitat III, the theme of the academic session is “Growing Public Spaces: Shaping the Agenda for Science, Policy, Practice, and Civil Society.” We recognise that it is not only the quantity of public space as an amenity that must be increased, but the quality of human places and placemaking that must be supported and enhanced, by governments, researchers, practitioners and NGOs – and ultimately, by the people themselves. We invite your submission of a paper abstract of no more than 300 words for initial consideration. If invited, you will be asked to complete a paper of between 3,000 and 6,000 words for the conference proceedings, accompanied by an oral presentation (with slides if desired) of 15 minutes. SCIENCE: Advancing New Theoretical Insights and Opportunities for Growing Public Space. POLICY: Removing Barriers and Inserting Reforms to Promote a Stronger Public Realm. PRACTICE: Advancing New Tools and Models for Public Space and Placemaking. CIVIL SOCIETY: Organising Groups and Strategies to Achieve the Needed Changes. Abstracts will be reviewed by a qualified panel of referees, and selected abstracts will be invited to submit full papers. Abstracts should be no more than 300 words, on one page, including author(s)’ name and contact information at the top of the page. Email submissions to the address below by the dates specified. Abstracts will be reviewed by a qualified panel of referees. Selected papers will be invited to participate in a second round of peer review toward publication in a conference proceeding volume or partner journal to be announced, in the field of urban design and development. In both the United States and Australia, the intersection of the development of drilling technology, the conversion of a pump used in the oil field for use in water wells, and the post-World War II availability of rural electricity, led to rapid development of groundwater for irrigation beginning in the 1950’s. The ability to tap into a steady supply, not (at least in the short term) subject to the seasonal and year-to-year fickle nature of surface water was an arid lands farmer’s dream come true. Scientists knew even then of the connection between surface and groundwater, but pre-World War II levels of development did not warrant recognition of that connection in the law. Unfortunately, the rapid post-war development outpaced the response of our legal systems and today both countries are seeking to manage the impact of groundwater development on surface water use for both economic and environmental purposes. The treatment of ground and surface water as one resource is referred to as conjunctive management and even in those parts of the United States where it has been around on paper for a bit, it can be considered in its infancy in terms of sophistication. Although Australia and the United States began with English common law, they have diverged in their subsequent development of the law and thus, in how they are addressing the surface-ground water connection. The English common law takes the view that a landowner may access and exploit the water beneath their land, even when pumping draws water from beneath neighboring land. To understand how the United States and Australia have diverged from this approach, it is useful to look at specific applications in New South Wales and in Idaho. Australia’s National Water Initiative of 2004 was an agreement among the State, Territorial, and Commonwealth governments to address some of Australia’s pressing water problems. Among those problems was the massive increase in groundwater use, particularly in response to the millennium drought which spanned the period of 1995-2011. During this period, farmer’s switched to groundwater, a response to drought similar to that of California’s Central Valley farmers in recent years. Among the solutions the States and Territories agreed to was a process of defining water access entitlements to eliminate the double counting of available water from a connected source as if surface and ground water were separate pools of water. Under the Act, the Commonwealth entered a funding agreement with New South Wales in which the State would impose reductions on groundwater licenses during the process of converting old bore licenses to aquifer access licenses to achieve the goals of water planning. Massive collaborative planning efforts were undertaken to determine water supplies and relative allocations between consumptive and environmental uses. Despite reductions of up to 70%, constitutional challenges by water users failed on the basis that water use has always been subject to government authority to regulate, thus nothing was taken from the water user that the government did not already possess. The western United States chose a different path and the experience in Idaho serves as a useful example. Idaho adopted the doctrine of prior appropriation for both surface and ground water and as the late comer on the block, groundwater use is generally junior. With massive increases in the development of groundwater in Idaho’s Eastern Snake Plain (now the third most productive irrigated agriculture region in the United States), the cumulative effect of pumping began to be apparent to surface water users as early as 1990. Two decades of litigation would be required to sort it out. Although some efforts at a state funded, planning style approach to augment supplies (rather than reduce use as in Australia), were attempted, in the end Idaho concluded that this was better addressed as a matter of private property. The state courts narrowed the issues by allowing adjustment of legal principles developed for surface water to account for the differences in the groundwater resources. Cumulative, not just seasonal, impact would be the basis for identifying harm. Models, rather than direct evidence, could be used to identify the existence of and estimate the magnitude of a well-to-surface diversion connection. Given the absence of a 1-1 correlation between groundwater pumped and down gradient surface water impact, well owners could avoid curtailment by providing make up water through a mitigation plan. It is far too soon to say whether the planning approach of Australia or private approach of Idaho will have the best results. The planning approach may miss some of the subtle local differences and thus either over or under curtail water use. The private approach may ignore long term impacts creating problems down the road. If I were a betting woman, I would say the two locations are likely to use various settlement and market tools to address the inadequacies of both extremes and will converge on a workable system that lies somewhere in between. Let’s hope they do it in time. Measures to lower the risk of cross-well contamination with chemicals and fluids used in the fracturing operation, by requiring companies to submit more detailed information on the geology, depth, and location of preexisting wells to afford the BLM an opportunity to better evaluate and manage unique site characteristics. The Land Use Law Center joins the NY-Sun PV Trainers Network, which is part of the NY-Sun Initiative, a statewide initiative that aims to increase the number of solar electric (also referred to as photovoltaic, or PV) systems across New York State by stimulating the marketplace, so that costs associated with installing solar electric systems for residents and businesses are reduced. As a network partner, the Center is creating resources and workshops to present strategies and best practices for developing a clear, comprehensive, and enforceable solar regulatory framework. On behalf of the City of Newburgh Conservation Advisory Council (CAC), the Center completed a Green Infrastructure Guide. The Guide directs CAC decision-making, recommending the use of natural processes to address stormwater and air quality impacts that result from development. The Guide is available by clicking here. The Center partnered with the Town of New Castle to lead a public engagement process that identified residents' planning goals, objectives, and vision. The resulting New Castle Master Planning Public Engagement Report, will inform the Town's new master plan, which the Center will continue to help develop. A new book by Prof. John R. Nolon, "Protecting the Environment Through Land Use Law: Standing Ground", takes a close look at the historic struggle that local governments face balancing land development with natural resource conservation. For more details and ordering information click here. Copyright © 2014 Pace Law School, All rights reserved. 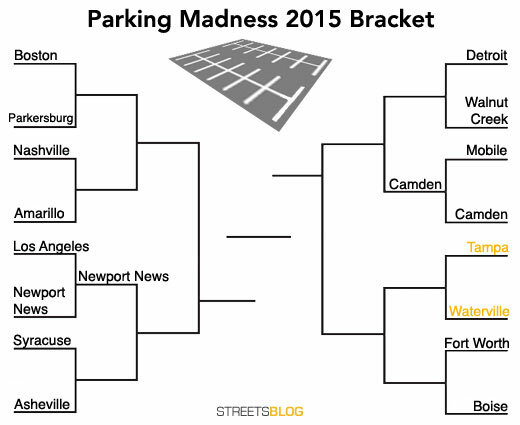 Streetblog is doing a funny spoof of March Madness asking readers to compare the relative "parking madness" of cities across the country. Today's match pits Tampa versus Waterville; weigh in here. Two locations in Sweet Home and one in Philomath will host contemporary art installations. This exciting new exhibition opportunity arose this year via the Regional Development Initiative and SweetHome Economic Development. Part of The Arts Center’s mission is to serve Linn and Benton Counties by providing innovative, thought provoking art to the public. The goal for this project is to bring art to communities that currently do not have space for contemporary/non-commercial art, and at the same time attract renewed attention to the properties involved. Three artists were selected to create installations in empty storefronts. The proposed artwork was required to be relevant to rural communities in Linn and Benton Counties. Once selected the artists refined their designs to the surroundings and history of Sweet Home and Philomath, as well as making them fit in the specific locations to which they were assigned. Andrew Myers and Gale Everett were selected for Sweet Home. Avantika Bawa’s project will be in Philomath at the old liquor store). A really interesting project that, it seems, could be emulated in a lot of rural areas without high costs and potentially high community benefit. The San Francisco Planning Department is pleased to announce exciting employment opportunities for the positions of Planner II and Planner III for the City and County of San Francisco. This is an opportunity to work in a dynamic, inter-disciplinary, and innovative department and share in our vision to make San Francisco the world’s most livable urban place – environmentally, economically, socially and culturally. We work in a collaborative, team-oriented environment with opportunities to work on a wide variety of projects and topic areas, both individually and on project teams. In performing our planning work, we work closely with staff of other City and regional agencies, the development community, and the general public. Community outreach and engagement is a big part of our work, and we hold frequent public forums to present and get input on our work. The links to the job announcements and application process are listed below. The filing deadline for both positions is March 17, 2015. This weekend we drove for the first time across the “Goyder Line” into Australia’s famous outback. George Goyder was the Surveyor-General of South Australia from 1861-1893. In 1864, Goyder drew the line that bears his name to mark the northern extent of potential for development of agriculture in Southern Australia. Like the 100th Meridian in the United States which marks the line dividing the eastern United States, in which agriculture is possible without irrigation, from the western United States where irrigation is necessary (until the coast or isolated pockets like Idaho and Washington’s Palouse). The Goyder Line is also defined by climate – south of it the precipitation can support agriculture, north of the Line it cannot. In contrast to the north-south 100th Meridian, the Goyder Line is east-west highlighting the influence of the Southern Ocean as opposed to the Atlantic and Pacific. Also in contrast to the 100th Meridian, the Goyder Line is absolute, marking the area of agriculture and no agriculture. As you drive north from Adelaide you leave the now famous wine regions and areas of fruit, nuts and vegetables and enter the northern wheat fields. Then all of a sudden, it ends. Scrub hills and red gum, dry drainages and large sheep stations run by pastoralists (what we would refer to as ranchers). The land is used for grazing. Red banded mountains like the Flinders Range rise from the valleys. Kangaroos and emus bed down under the gum trees to escape midday heat. The simple difference from the western United States is that there is no water source adequate for large scale irrigation in Australia’s outback. No Missouri, Colorado, Snake, or San Joaquin. Attempts to defy the Goyder Line, including the planting of wheat in Wilpena Pound in the Flinders Range during a series of wet years in the 1800’s, failed when drought returned. Pastoralists in this part of the outback rely on the massive aquifers of the Great Artesian Basin (GAB) to water stock. Like the Olgallala aquifer, the GAB receives limited recharge. Unlike the Olgallala, the GAB quality is marginal even for stock and is not suitable to grow crops. “Artesian” in the GAB name means the aquifer is under pressure and a well into it will flow at the surface – similar to early wells in Pullman WA into the Grand Rhonde aquifer. Pastoralists used this feature, drilling approximately 4000 wells in the late 1800’s to early 1900’s, and leaving them to flow. This made possible the raising and driving of livestock to market. The cumulative flow of these bores has begun to impact the GAB and the famous mound springs and waterholes it supports with their rare and fragile ecosystems. In recent years the Commonwealth, in partnership with the States and Territory overlying the GAB, has implemented a bore rehabilitation program to cap and control the flow. Pastoralists now use stock tanks and run wells only when needed. The more difficult bores or those that support ecosystems thought important remain. Some recovery of GAB pressure has been measured. Life of the rehabilitation is estimated at 30-50 years and no program is yet in place for cap maintenance. The outback of Australia is as much a lifestyle as it is an ecosystem. Many of the stations now supplement income with tourism, like Rawnsley Station where we stayed. Like our western ranch towns, the population is aging with the young headed to the coastal cities. Whether the capping programs will render the water supply for this lifestyle sustainable, whether enough children will stay to find out, remains to be seen. Crossing the Goyder Line back into wheat fields and then grapevines, it seems an iconic part of Australia would be lost if they fail. It appears the next step in the sharing economy wars is upon us. When the sharing economy company is stymied by local government regulation, it appears that sharing economy companies are increasingly willing to go for the nuclear option: a state statute preempting local control of sharing economy uses. Such a bill was just introduced before the Idaho Legislature a couple weeks ago. The bill was largely written by Uber, which has had an acrimonious negotiation with Boise City because the city wants the company to do very basic things, such as run background checks on drivers. Uber has decided, apparently, that it can't be bothered to follow even the most cursory of regulations (Boise is requesting far less than major cities have of Uber). As a result, Uber has decided to do an end-run around the city and try its hand at the state level. More about the back story here and here. Notwithstanding any other provision of law, TNCs and TNC drivers are governed exclusively by this chapter. No municipality or other local entity may impose a tax on, or require a license for, a TNC, a TNC driver, or a vehicle used by a TNC driver where such tax or licenses relates to providing TNC services, or subject a TNC to the municipality or other local entity's rate, entry, operational or other requirements. Do any other states have such legislation? Perhaps an uber-end-run around local governments is coming to a state house near you! I spent much of last week at Stanford's Bill Lane Center Rural West Conference, which was held this year in Troutdale, Oregon just outside of Portland. The excellent interdisciplinary conference introduced me to some wonderful scholars and works that I plan to share over the coming weeks. The first of these is Bill Wyckoff's (Montana State - Geography) wonderful new book, How To Read the American West. Below is a YouTube video in which Bill gives a description of the project, which is organized around 100 western cultural and geographic features. In the video, you can see some of Bill's pictures taken from several years of traveling through every county in the western United States. It seems destined to be a classic work on the American west of the early twenty-first century. The colonial and frontier history of both the United States and Australia had devastating impacts on Indigenous populations. Similar to other areas of law, both countries began with a basis in the laws and approach to colonization of England, but they diverged in their definition of the rights of the Indigenous people inhabiting the land they came to colonize. While the United States “negotiated” treaties with Tribes, Australia adopted the concept of terra nullius – the land belonged to no one. It was not until the High Court of Australia in Mabo v. Queensland, rejected the concept in 1992 (yes, 1992 not 1892) and the Commonwealth passed the Native Title Act in 1993, that Indigenous people could begin to assert the right to land and water in Australia. [a]ccording to the cases, the common law itself took from indigenous inhabitants any right to occupy their traditional land, exposed them to deprivation of the religious, cultural and economic sustenance which the land provides, vested the land effectively in the control of the Imperial authorities without any right to compensation and made the indigenous inhabitants intruders in their own homes and mendicants for a place to live. Judged by any civilized standard, such a law is unjust and its claim to be part of the common law to be applied in contemporary Australia must be questioned. Mabo was a watershed moment in the rights of Aboriginal Australians, yet it was also a ruling with limitations. The High Court in Mabo recognized no sovereign role for Aboriginal people. Instead, it considered the rejection of terra nullius to lead to recognition of traditional ownership of land and water, not to recognition of sovereign control over that territory. The Native Title Act allows exercise of certain hunting, fishing and cultural rights free from State regulation, but to date this has been a fairly limited area of sovereign authority. In contrast, the United States began by negotiating treaties with Tribes that at least legally reflected the same process it would use with foreign nations (i.e. Advice and Consent of the Senate) it quickly eliminated that approach and at the same time the U.S. Supreme Court articulated the concept that Tribes were “quasi-sovereigns” subject to the plenary power of Congress. In recent decades the U.S. Supreme Court has taken an increasingly narrow view of Tribal sovereignty. Nevertheless, the recognition of even limited sovereignty stands in stark contrast to Australia. This difference struck a chord with me as the result of my experience in both observing and participating in the review of the Columbia River Treaty. The Tribal voice as sovereigns at the table and their expertise and credibility as co-managers of the U.S. Columbia River salmon fisheries altered the shape and substance of the U.S. regional review process. Their participation was instrumental in the regional decision to recommend elevation of ecosystem function to a third prong of the treaty, along with hydropower and flood control. This broadening of management values away from optimization for limited engineered services, if followed, would enhance basin resilience in the face of growing population and climate change for all basin residents. Tracing the rising voice of the four U.S. Columbia Basin Tribes that now form the Columbia River Inter-Tribal Fish Commission (CRITFC), a three stage process emerges: (1) original articulation of the right in the 1855 treaties guaranteeingthe right of taking fish at all usual and accustomed places in common with citizens of the Territory; (2) definition of the right in the 1974 Boldt decision as up to 50% of the harvestable fish passing a U&A (as a usual and accustomed place is referred to); and (3) capacity building to assert that right. It is this final step, capacity building, in which the Tribes have built the sophisticated fisheries science and policy management agency we see today in CRITFC. Only through development of capacity have the Tribes been able to assert their own vision, incorporate their own traditional knowledge, and bring to the table a sophisticated view of modern tribal needs that are not arrested in a historical romanticized view of Native peoples. Truly this is what the UN Declaration on the Rights of Indigenous Peoples means by self-determination. My own view was that the two stages of articulation and definition of the right were necessary precursors to capacity building. Not so. I have learned of an innovative approach by the Ngarrindjeri Nation in South Australia that approaches capacity building from the opposite direction and holds substantial promise for broadening the vision of land and water management in areas with claims to Native Title. 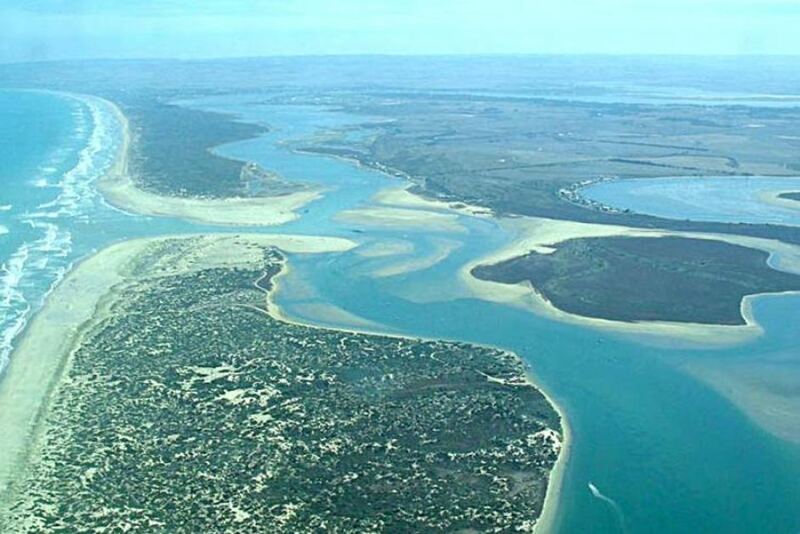 Without treaties or the recognition of even limited sovereignty, and with claims to Native Title pending, the Ngarrindjeri Nation has begun the process of entering private contracts with local government to secure their voice in management of the land and water at the Murray Mouth – the biologically rich estuary and wetlands near the mouth of the Murray-Darling River (see photo below). The Ngarrindjeri Nation has reached out to federal, state and local government to both seek funding for capacity building and to participate in resource decisions. The partnerships they are developing not only resemble what we see with CRITFC, but may go a long way to easing tension over claims to Native Title in areas shared by non-Native people. I learned of the work of the Ngarrindjeri Nation from two amazing scholars and activists at the Yunggorendi First Nations Centre at Flinders University – Daryl Rigney and Steve Hemming. In what might be referred to as participatory action research, they have both worked with the Ngarrindgeri Nation to develop this approach and studied the results, an approach that not only speaks to the effectiveness of the Yunggorendi Centre, but increases the potential for transfer of this approach to other settings. It has convinced me that while rights, or at least the threat of their establishment, are an important step in the process, it is the building of capacity for First Nations to speak for themselves that is the key component to their success. Here are all the articles posted on SSRN in February that self-identified as being land use law-related (search term "land use," time period "one month"). The Land Use Act and Land Ownership Debate in Nigeria: Resolving the Impasse.